A review of how bus services are run across South Yorkshire has been ordered by the region's elected mayor. 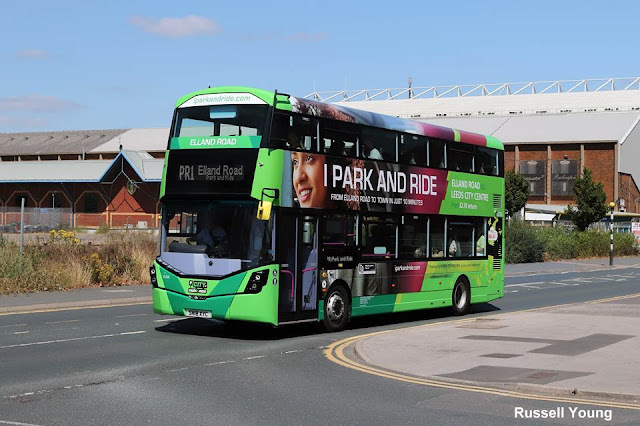 The year-long process launched by Dan Jarvis, mayor of the Sheffield City Region, will examine why bus usage in the county has fallen. Mr Jarvis said the review would also examine whether private bus companies were best placed to run services. Private bus operator Stagecoach said it would oppose attempts to regulate bus services in South Yorkshire. Sheffield MP Clive Betts will chair the review, which will gather evidence from bus passengers, operators and local politicians. Bus usage across Britain has been falling, with the number of journeys declining by 90 million in the past year from 4.9 billion to 4.8 billion. 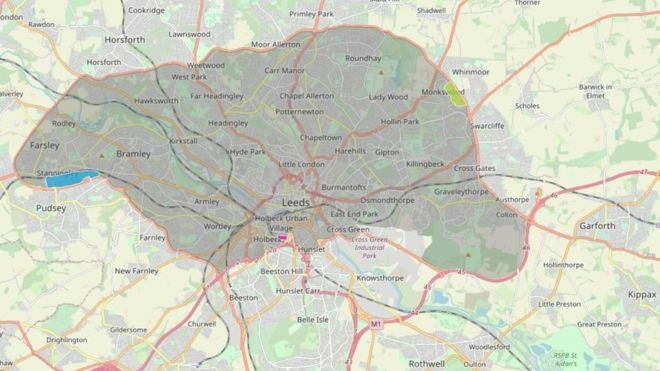 In South Yorkshire, the number of weekly timetabled services has fallen by a quarter since 2014, according to data provided to the BBC's Inside Out programme by basemap.co.uk. In the last week of January, bus operators in South Yorkshire planned to run 22,976 services, down from 32,290 in the same week in 2014. Mr Jarvis said bus services in South Yorkshire had suffered from a lack of investment. "The privatisation of buses has not been successful here in South Yorkshire and across the north of England. What this review is looking to do is to try and identify why bus patronage has fallen." Under the Bus Services Act 2017, metro mayors including Mr Jarvis have been given powers that would allow them to re-regulate bus services. If they decided to use the powers they could set bus timetables and fares, with bus companies then bidding to run franchises. 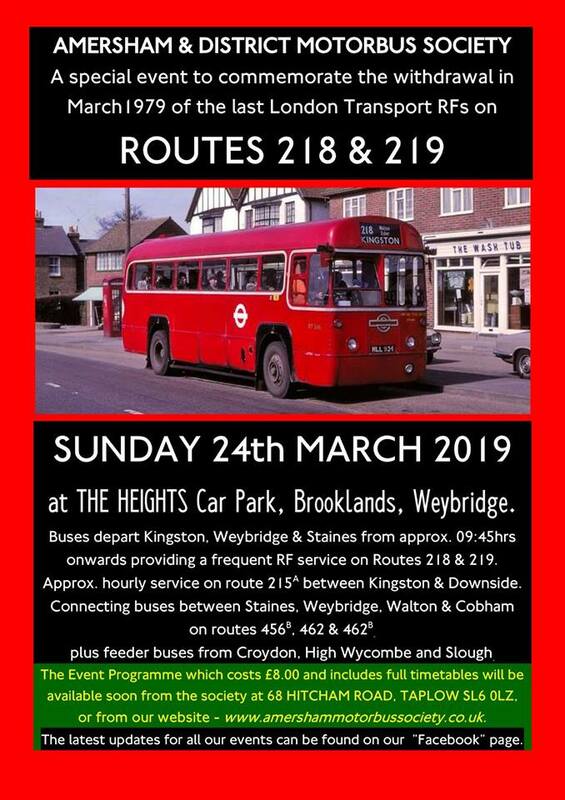 The new powers overturn a decision taken by the Thatcher government in 1985 to de-regulate bus services across Britain apart from in London. 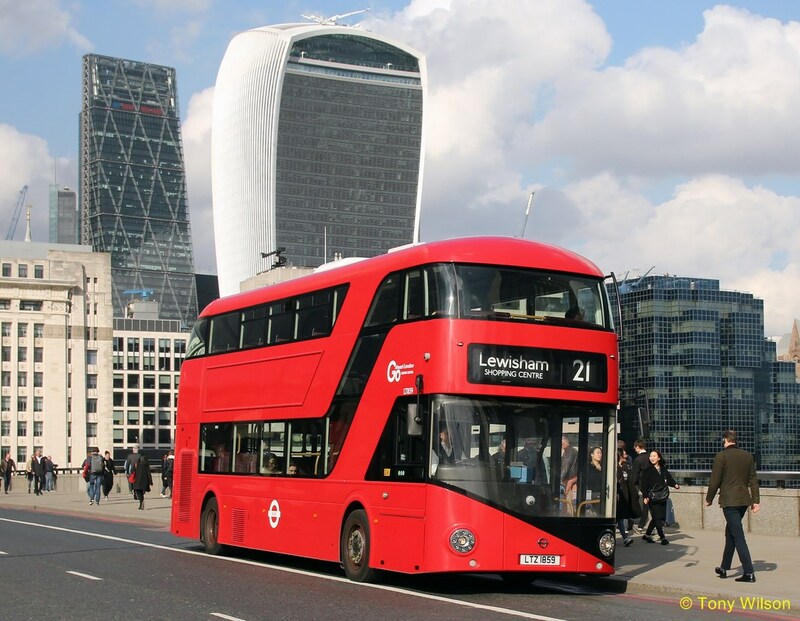 Does falling use mean buses are only for big cities? Private bus operator Stagecoach, which runs services across South Yorkshire, said it wanted to work with the mayor to improve services, and was opposed to the idea of re-regulation. "There's no business that would like to see their right to trade suddenly removed from them" said Matt Davis, managing director of Stagecoach in South Yorkshire. 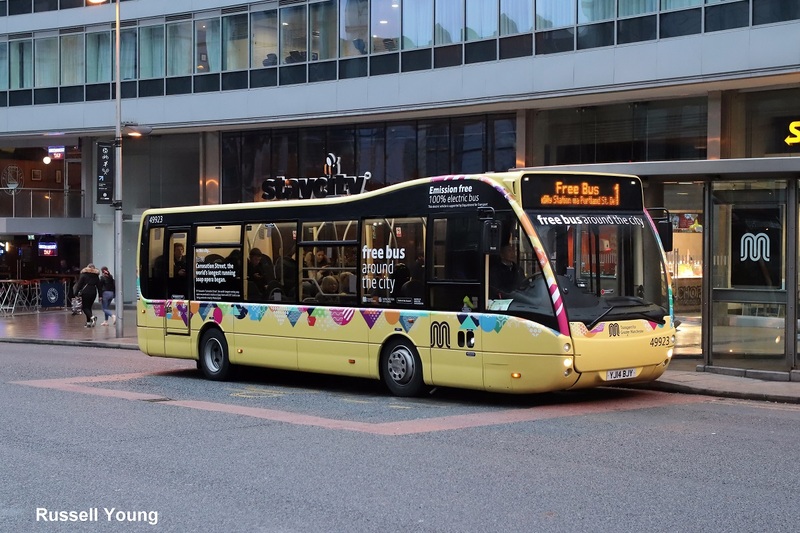 For re-regulation to work we believe it would require councils to inject large amounts of money into the bus network, and we believe that is money that councils don't posses at the moment." 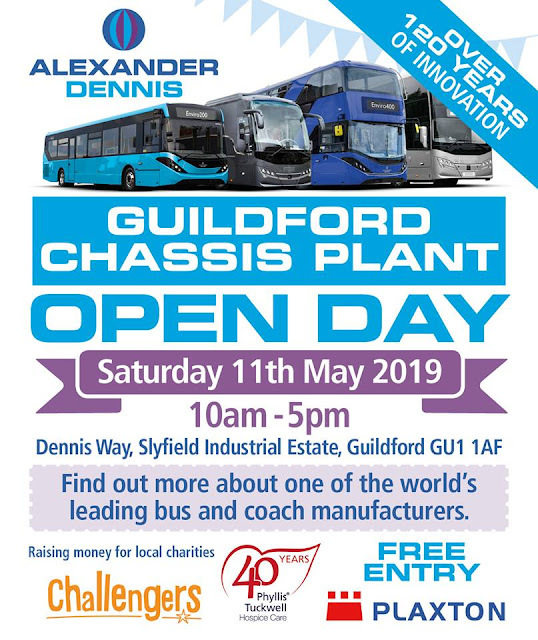 The Guildford factory is holding an open day on Saturday, 11th May 2019. The day will be packed with fun for families, historic vehicle enthusiasts and technology buffs. Claire Barrett, who is one of the event organisers, says: “We intend to roll out the red carpet for our guests. 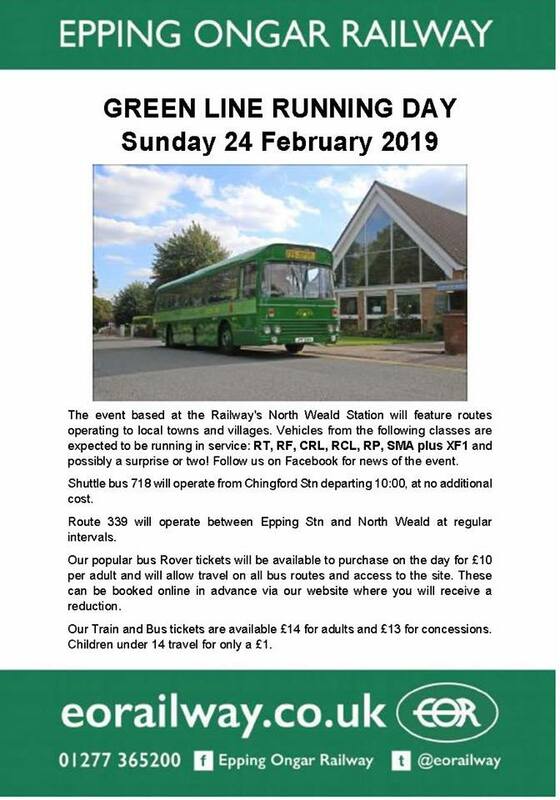 There will be special connecting bus services to and from Woking and Guildford stations, ‘build a bus’ activities to engage young minds (and adults too), rides around the Slyfield estate on vintage vehicles, some of which will be drawn from our own museum, guided tours of the factory, special attractions and, in general, a fun, festival atmosphere designed to involve all age groups and families." Make sure to put the date in your diary to not miss your chance of looking behind the scenes at Alexander Dennis! The first designs for the £1 billion “super-hub” High Speed 2 train station at Old Oak Common were revealed recently. Passengers will switch trains at the station an estimated 250,000 times a day, creating a Clapham Junction-style interchange in north-west London. HS2 services between Euston and Birmingham, and Crossrail trains to and from Heathrow, will call at the station, as well as Great Western mainline services. A new Chiltern line to and from Heathrow may also be built. Consultation on the proposed designs of the station, being built on the former Great Western railway depot north of Wormwood Scrubs, have now opened. Preparatory groundwork has begun and construction is expected to start later this year. The £27 billion first phase of HS2 between London and Birmingham is expected to open in 2026, although some critics suggest the date is optimistic. The £29 billion second phase to Manchester and Leeds is not due until 2033. Up to 18 HS2 trains an hour will stop at Old Oak Common. 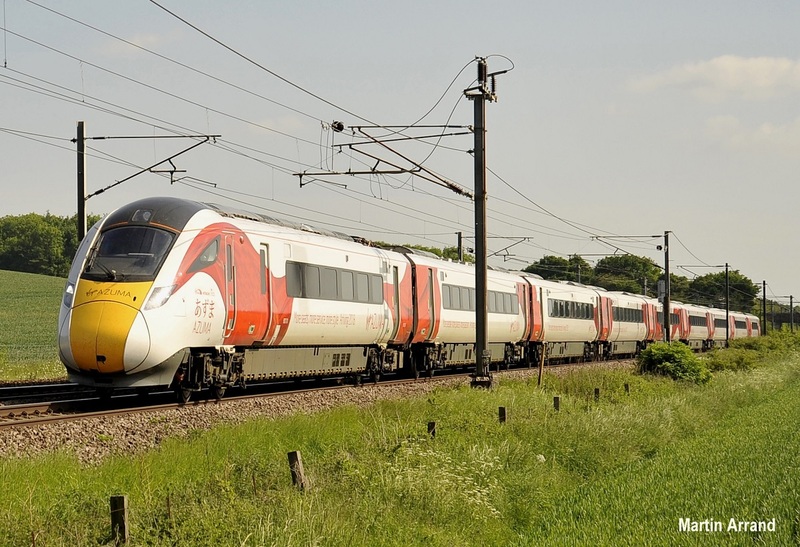 About a third of HS2 passengers are expected to change trains there rather than at Euston. Crossrail is not due to open until next year at the earliest, but its trains will not stop at Old Oak Common until 2026. It will be the biggest sub-surface station in the UK, at about 1km in length and 20m below ground. It has been designed by contractor WSP and the WilkinsonEyre firm of architects, whose work includes the Emirates cable car across the Thames and the renovation of Battersea Power Station. There will be six 450m-long underground platforms for HS2 and eight platforms at ground level — four for Crossrail and four for Great Western mainline services. A public park will be created alongside. The wider area is the UK’s largest regeneration project and has been earmarked for 25,500 new homes. However, £250 million from the Government’s housing infrastructure fund has yet to be provided to Mayor Sadiq Khan’s Old Oak Common development corporation. The London-based travel app Citymapper is to launch a seamless “one stop shop” transport pass that it claims will be a world first for a major city. 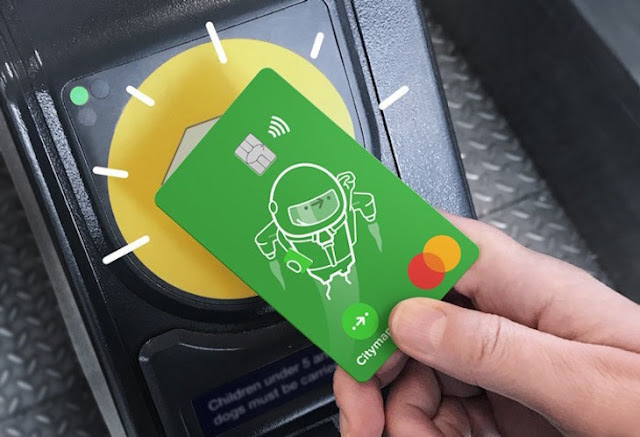 The subscription service, Citymapper Pass, will initially cost about £40 a week for unlimited travel on the Tube, buses and Overground in zones one and two, unlimited use of Santander bikes and £12 towards trips with Citymapper Ride cab shares. There will be a £30 option that includes the public transport access of the more expensive pass but excludes bikes and cab shares. It still undercuts the existing weekly Transport for London Travelcard by £5.10. Outside those zones the pass will operate as a pay as you go Oyster-style card. Azmat Yusuf, Citymapper founder and chief executive, said: “It’s not just about the price, we’d like to provide a better experience … we want to make this really easy and reduce the hassle to a minimum.” Different packages with extra zone coverage are expected to be added “within months”. Citymapper hopes the whole capital will be on the system by the end of the year. An app needed for the pass will launch on Monday. Passes are expected to be sent out next month with the system going live by the end of March. There is no upfront fee or cancellation charge. Now it’s even easier to party the night away and then get home safe and sound. 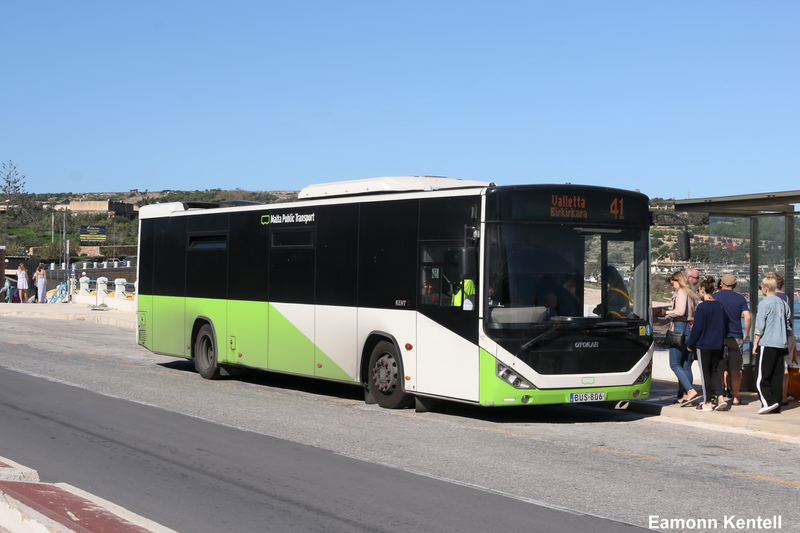 Extra night bus services have been launched, with four new routes introduced from Malta’s main clubbing and nightlife mecca in St Julian’s. 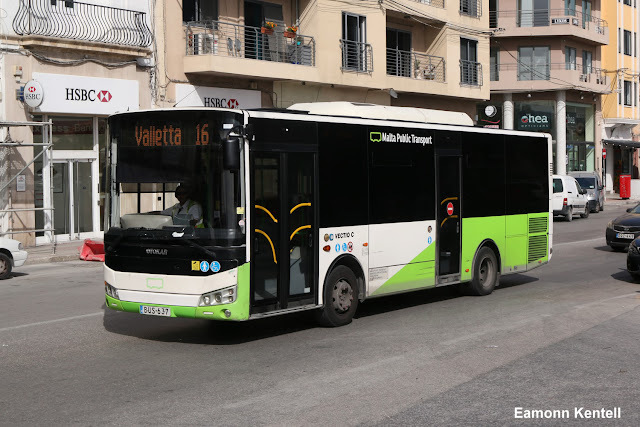 Malta Public Transport said a number of existing night routes were also revamped to serve more passengers. N11, which runs from St Julian’s to Cirkewwa on Friday and Saturday nights will now operate every 30 minutes. N40 is a new route operating from St Julian’s to Mosta via San Gwann and Naxxar, running every 30 minutes on Friday and Saturday nights. N50 is a new route starting from St Julian’s to Rabat via Birkirkara, Balzan and Attard, running on Friday and Saturday nights every 30 minutes. N71 is also a new route which will run from St Julian’s to Mqabba via Luqa, Malta Airport, Zurrieq and Qrendi. This is also a Friday and Saturday night service, running every 30 minutes. N91 will continue to operate from St Julian’s to Marsascala on Friday and Saturday nights. N209 is a new route from St Julian’s to Zebbug via Hamrun, Qormi and Siggiewi every 30 minutes on Fridays and Saturdays. N212 is a new nightly service operating from Sliema to Bugibba every 30 minutes. Tap-in, tap-out rail fares could be expanded beyond London if a group of train operators gets its way. The Rail Delivery Group has set out a wish-list of reforms for the industry and it wants the UK and devolved governments to support them. Another suggestion is removing the sudden change between peak and off-peak fares, to reduce overcrowding. The lobby group said almost 20,000 people made submissions on how they would like the UK railways improved. 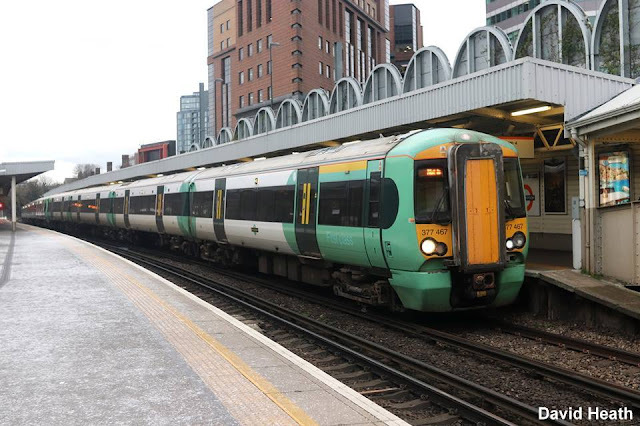 Transport Focus, the independent passenger watchdog which also worked on the consultation, said UK train operators currently offered an "outdated and outmoded fares and ticketing system". Feedback from commuters found eight out of 10 want the fares system overhauled and nine out of 10 want smart or electronic tickets, with the potential for price capping. The Rail Delivery Group said reforms would support tap-in, tap-out fares, a pay-as-you-go method used in London, and more integration with other modes of transport. 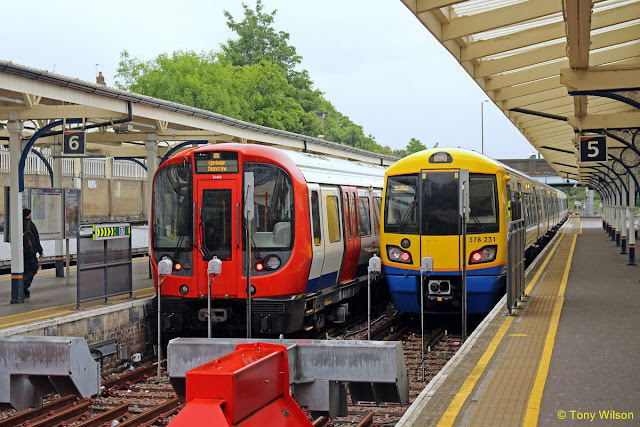 In London, tube and rail commuters can use contactless bank cards to automatically pay fares which are calculated based on where a passenger enters and exits the network. Reform would mean updating regulations around peak and off-peak travel, Rail Delivery Group said, and ticket prices could be set more flexibly. This would reduce overcrowding, it said. Paul Plummer, chief executive of the Rail Delivery Group, said customers have different needs and want changes that offer value and better reflect changing work habits. Rail companies are already working together on plans for real world trials so people can see what our proposals could mean for them". Mr Plummer said rail companies needed the government to change rules on how train fares are charged. "Current regulation needs to be updated and we want to work with government, which is key to making improvements a reality, to deliver the better fares system the public wants to see." The government is currently undertaking the Rail Review which is covering everything from commercial contracts to rail fare structures. Its consultation closes at the end of May. The Rail Delivery Group said its ideas could be rolled out, train operator by train operator, in as little as three years. Darren Shirley, chief executive of the Campaign for Better Transport, said the existing system is "broken and desperately needs fixing. We're particularly pleased to see proposals for more flexible commuter tickets to reflect modern work patterns, something we've long called for, and for nationwide smart ticketing. What's not clear however, is if these proposals will also lead to an end to the annual fares rise, which fails to reflect the level of service passengers receive the previous year. It is now up to the Government to take forward these proposals to ensure we have a fares system that is fairer and easier to use." Another proposal is to stop passengers having to buy split tickets to get the cheapest fares for some journeys. Passengers can summon vehicles using the app, with mobile payments and Freedom Passes accepted. From this Spring, passengers will be able to summon a minibus service within the Borough of Sutton, through a smartphone app in real-time and make mobile payments for their journey – with Freedom Passes also accepted. 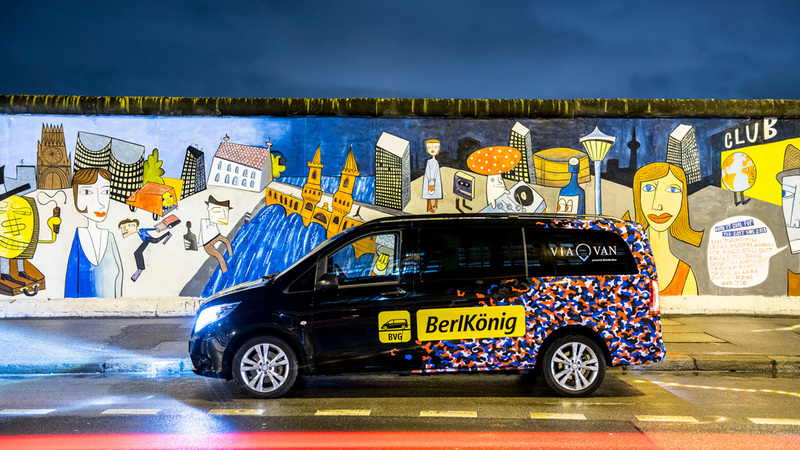 Each minibus will have the capacity to carry up to 14 passengers at one time, with services running from 06:30 to 21:30, seven days a week. Sutton was selected for the pilot due to a combination of high car dependency and challenges to traditional methods of public transport. Go-Ahead is keen to use the borough as an example of how communities can make greater use of more sustainable shared transport options. The service will run a fleet of dynamically routed, on-demand vehicles to give consumers a service that is both time and cost efficient. Go-Ahead has operated the UK’s largest demand-responsive bus service in Oxford since June 2018, with PickMeUp providing passengers with more than 75,000 journeys since launch. Customers will be able to book their journeys in real time via an app, with updates on arrival time, driver and route details, as well as an estimated time of arrival. Summoning a shuttle guarantees customers free Wi-Fi and USB charging points. David Brown CEO of The Go-Ahead Group said: “As the operator of PickMeUp in Oxford, the largest demand responsive service in the UK, we are delighted to work with TFL and VIA to help deliver this service to Sutton. Rail investigators have called for louder warning horns to be fitted to Edinburgh trams following the death of a pedestrian. Carlos Correa Palacio, 53, died in September after being hit at the Saughton tram stop in Broomhouse Drive. 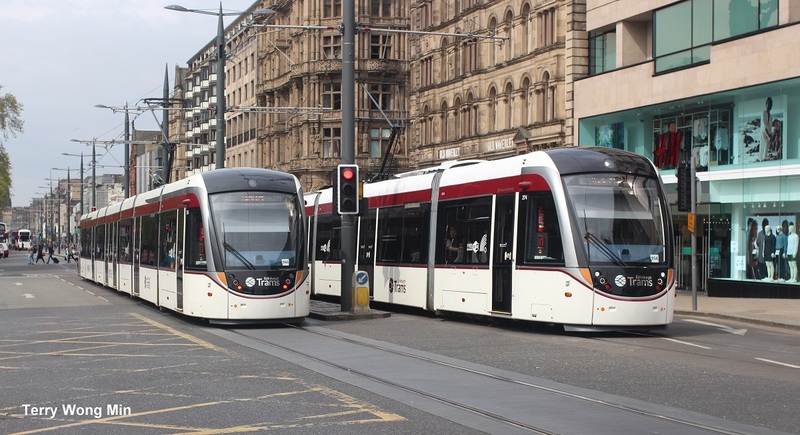 The Rail Accident Investigation Branch (RAIB) has advised Edinburgh Trams Limited to increase the sound pressure levels of the horns. The company said it was modifying the horns and testing was under way. Mr Palacio suffered serious injuries and was pronounced dead at the scene of the accident on 11 September - the first fatality directly involving a Scottish tram since 1959. Previous recent accidents have been linked to the tram tracks rather than trams themselves. The RAIB published safety advice in an interim report on Thursday having investigated the accident. The agency found that the warning horn was up to eight decibels short of the levels specified by guidance - meaning it was not suitably noticeable above background noise. Investigators said the tram driver saw Mr Palacio approaching the crossing and applied the service brake to reduce the tram's speed, as well as sounding repeated warnings using the tram's bell. They said Mr Palacio did not respond to the audible warnings and continued onto the crossing. It is reported the driver then operated the emergency brake - which automatically activated the warning horn - before arriving at the crossing. It was concluded the tram was too close to be able to stop before reaching it. The tram's speed at the time of the collision was approximately 31mph (50kmph). The maximum line speed at this Saughton stop section is about 43mph (70kmph). The RAIB safety advice reads: "Edinburgh Trams Limited is advised to increase the sound pressure level of the warning horn fitted to its trams. In the meantime, it should consider measures to mitigate risks at locations where audible warnings may be required. In particular, consideration should be given to the appropriateness of the current warning horn or bell as a method of warning to pedestrians using footpath crossings over off-street track sections with high line speeds." 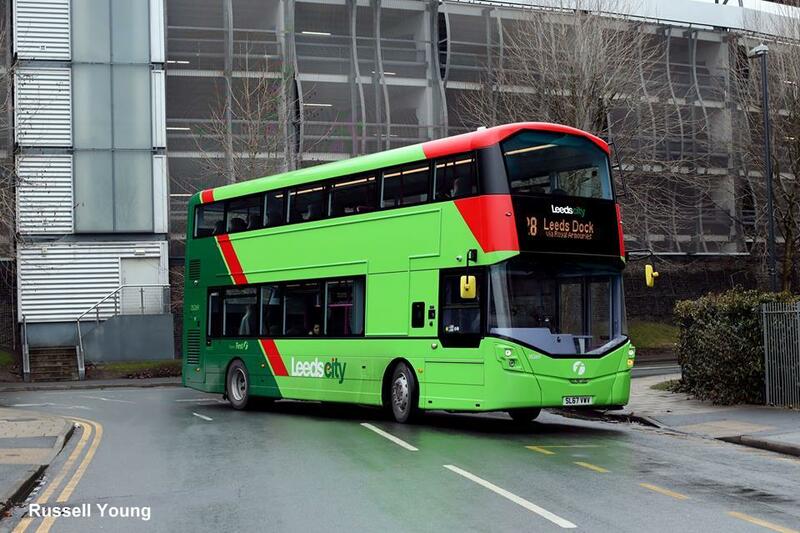 Edinburgh Trams Limited said modifications to warning horns are being implemented across their fleet. A spokeswoman for Edinburgh Trams said: "When Edinburgh Trams commenced passenger service in May 2014 we were satisfied that suitable and sufficient testing of the audible warning horn had been undertaken. We want to provide a safe tramway for our customers and take cognisance of the notice issued today by the RAIB. We continue to work with the RAIB and do not wish to predetermine the outcomes of their final report which is expected in the spring." The Go-Ahead Group has announced it has agreed terms with FirstGroup to purchase the Queen’s Road bus depot. The sale, which is due to complete in the next few months, will take Go-Ahead into Manchester, Britain’s second-largest urban area, for the first time. 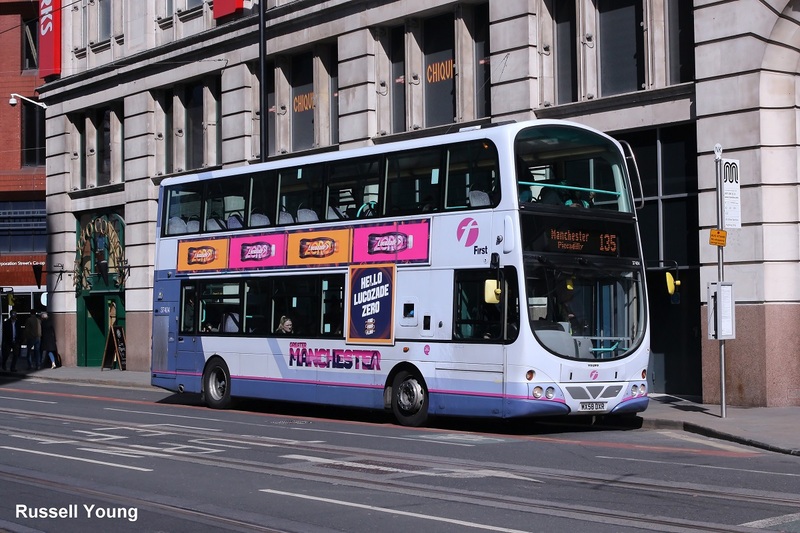 Go-Ahead is looking forward to working in partnership with Transport for Greater Manchester (TfGM) to deliver operational excellence, innovation and a focus on customer service. Go-Ahead is the largest bus operator in London and runs seven other regional bus companies in Britain, plus overseas bus services in Ireland and Singapore. Go-Ahead’s regional bus services have a customer satisfaction score of 91%, the highest in the industry, according to an independent study by Transport Focus. The Queen’s Road depot will operate as Go North West, while a local brand will be chosen in collaboration with customers and stakeholders. 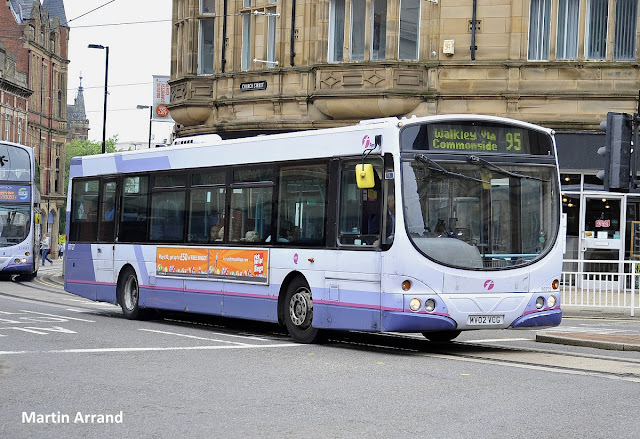 Go-Ahead has agreed £11.17m in cash for the acquisition which includes 163 buses. 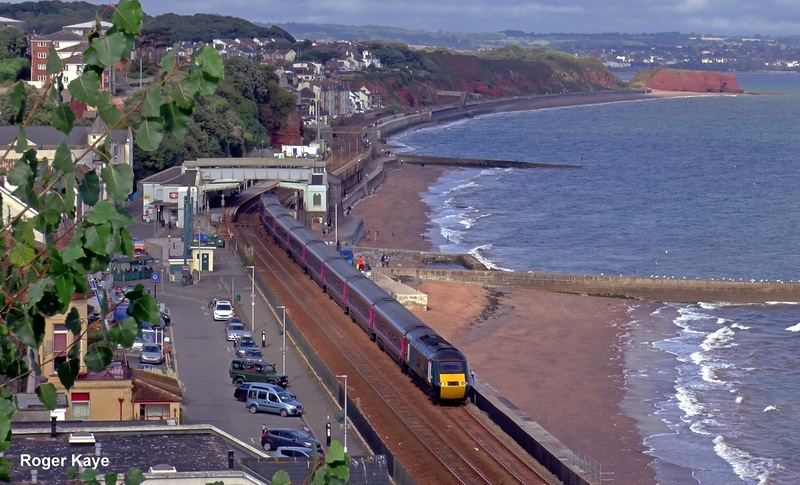 Five years after western Devon and Cornwall were cut off from the rest of the UK by rail, the government has promised £80m for a new sea wall at Dawlish. 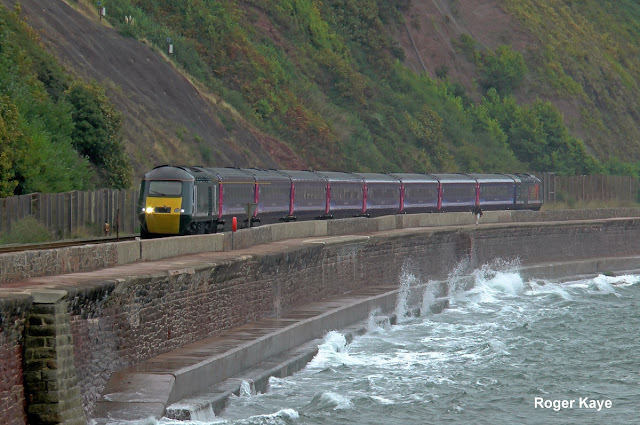 A storm in February 2014 severed the Great Western Railway from Exeter to Plymouth. The main line from London to Penzance clings to the coast and is exceptionally vulnerable to seawater. During the storm, the railway sleepers became driftwood, leaving the tracks suspended in mid-air. No more trains would pass through for two months until the 100ft gap in Brunel’s handiwork was repaired at a cost of £40m. Now, the Department for Transport has announced further funding of up to £80m “to deliver a new sea wall at Dawlish, providing better protection for the railway and homes behind it. This will help ensure the serious damage and disruption seen during storms in 2014 is not repeated,” the DfT says. 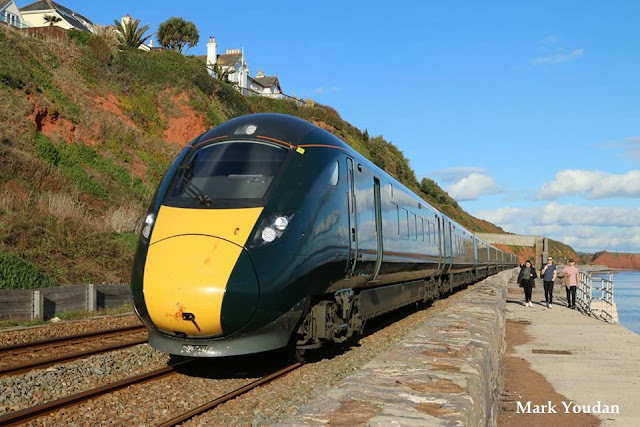 But rail campaigners have long argued that the money would be better spent on reinstating the London and South Western Railway from Exeter via Crediton, Okehampton and Tavistock to Plymouth. The inland route is far less vulnerable to inclement weather. It was closed as part of the wholesale dismantling of the rail network in the late 1960s. 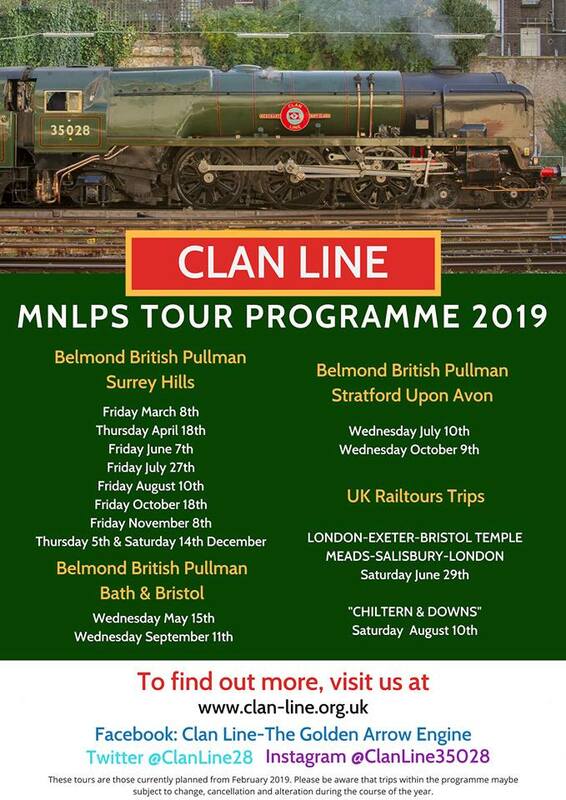 Half a century on, over half of the line still carries trains: Okehampton has a link from Exeter, while Bere Alston near Tavistock is connected to Plymouth. But the cost of reinstating the missing portion around the fringes of Dartmoor would run into hundreds of millions of pounds. Work on the new sea wall will begin in the spring and is expected to be complete by 2021. The Forth Road Bridge celebrated its first birthday on Friday 1 February - as a dedicated public transport corridor. 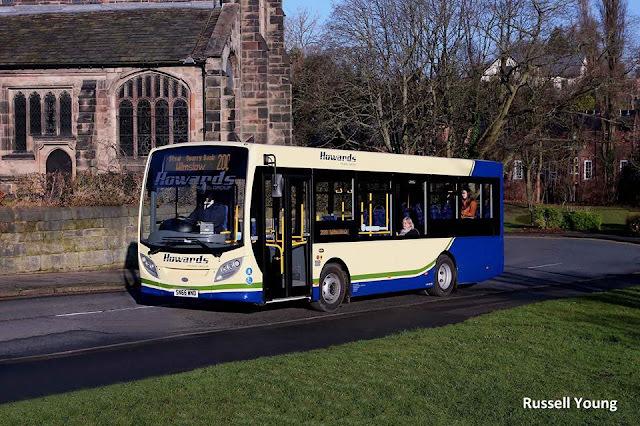 Douglas Robertson, Commercial Director, Stagecoach East Scotland said: "The public transport corridor has provided longer bus lanes, which means more reliable services and quicker journeys as well as improved connectivity through the use of P&R sites. "Our investment in new vehicles throughout 2018 also had a positive impact on passenger usage. 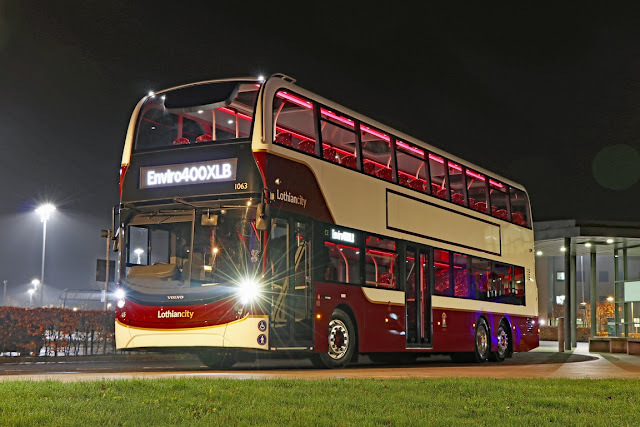 We launched 19 new coaches last year all operating over the Forth Road Bridge marking a spend of £5.1m and a significant investment in our Express City Connect network. 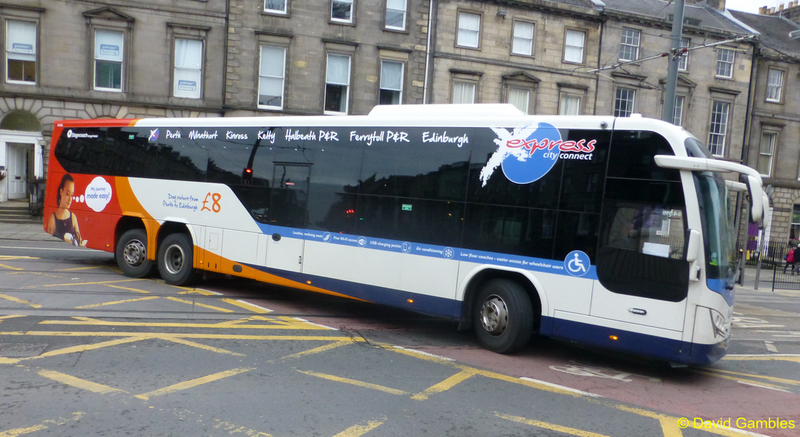 Stagecoach launched 19 Plaxton Panther LE coaches in May and July 2018 for use on routes X55 and X56 into Edinburgh and X51 to Livingston and Glasgow. 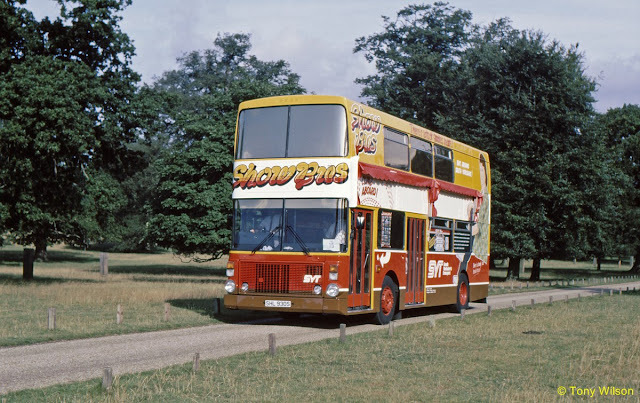 The coaches were first of their kind in the UK as low floor entry, with all the luxury of a coach, complete with free wi-fi access, leather seating, air-conditioning, device charging points and at-seat 'stop' buttons. The company also consulted with Bus Users Scotland in the design of the coaches to ensure the new layout was the best fit for regular travellers as well as disabled users. European aircraft manufacturer Airbus has pulled the plug on its struggling A380 superjumbo, which entered service just 12 years ago. Airbus said last deliveries of the world's largest passenger aircraft, which cost about $25bn (£19.4bn) to develop, would be made in 2021. 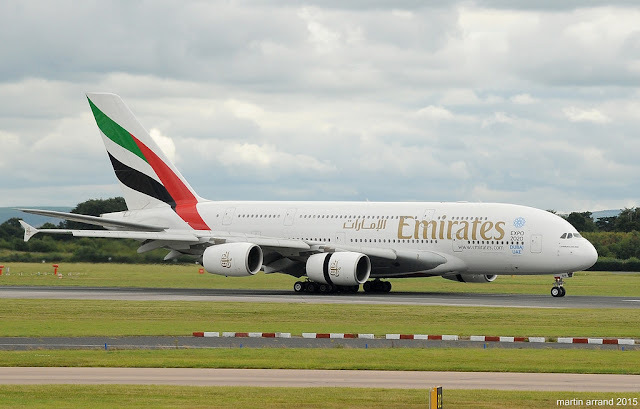 The decision comes after Emirates, the largest A380 customer, cut its order. 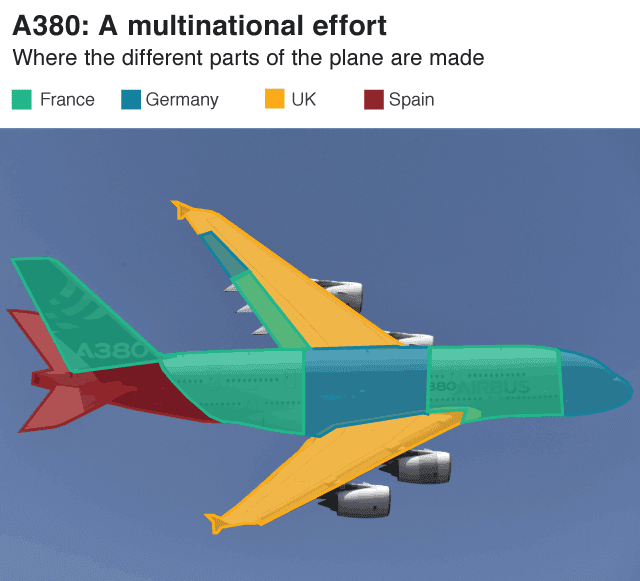 What has prompted Airbus' decision? The A380's future had been in doubt for several years as orders dwindled. But in a statement on Thursday, Airbus said the "painful" decision to end production was made after Emirates reduced its latest order. The Dubai-based airline is cutting its overall A380 fleet size from 162 to 123. Emirates said it would take delivery of 14 further A380s over the next two years, but has also ordered 70 of Airbus' smaller A330 and A350 models. "Emirates has been a staunch supporter of the A380 since its very inception," said the airlines' chairman Sheikh Ahmed bin Saeed al-Maktoum. "While we are disappointed to have to give up our order, and sad that the programme could not be sustained, we accept that this is the reality of the situation," he added. The order cut meant keeping production going was not viable, said Airbus chief executive Tom Enders, who is due to step down in April. 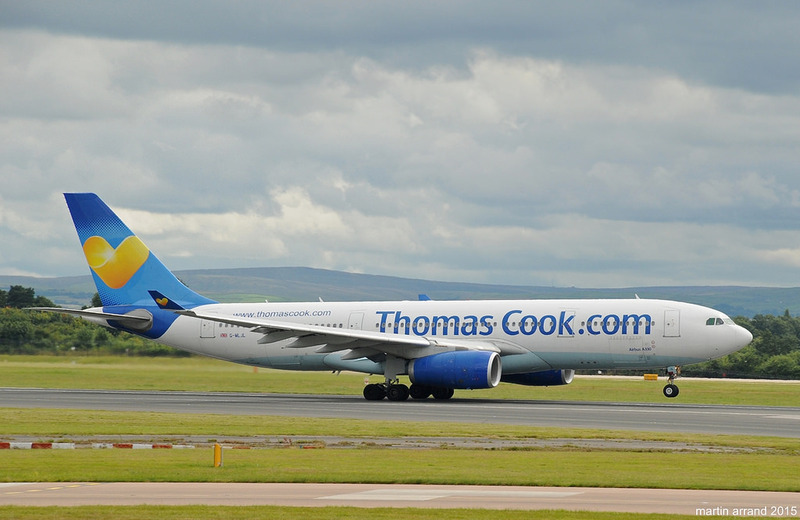 There was "no basis to sustain production, despite all our sales efforts with other airlines in recent years" he said. Airbus has taken a €463m charge for shutdown costs, but it is expected that the repayment of government loans could be waived to help cushion the blow. The aerospace giant said the financial impact of the decision was "largely embedded" in the firm's 2018 results, which showed a net profit for 2018 of €3bn (£2.6bn) up nearly 30% from the previous year. Airbus said it would deliver between 880 and 890 new commercial aircraft this year. Airbus said it would start discussions with partners regarding the "3,000 to 3,500 positions potentially impacted over the next three years". Around 200 jobs in the UK could be under threat from the decision. Airbus confirmed it hopes to redeploy a "significant" number of affected staff to other projects. Mr Enders said: "It needs to be evaluated. 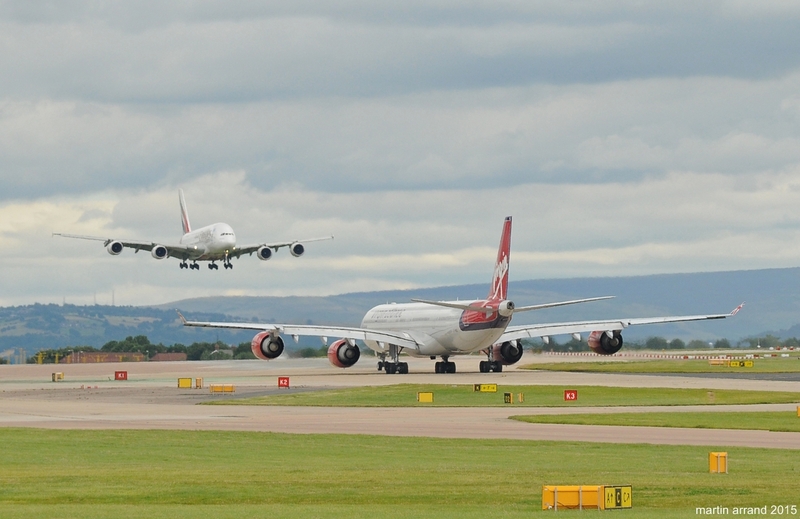 It's clear we make a lot of wings in Britain and a few wings for the A380. Hopefully we can redeploy a significant number of our employees there and re-use also the infrastructure." Airbus UK makes the wings for its wide variety of aircraft in the UK. The company employs about 6,000 staff at its main wings factory at Broughton in Flintshire, as well as 3,000 at Filton, near Bristol, where wings are designed and supported. 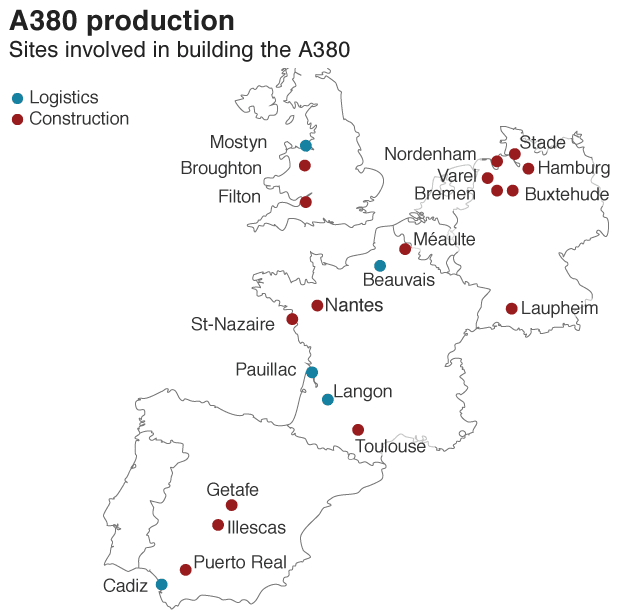 Parts of the A380 are manufactured in France, Germany, Spain, and the UK, with final assembly and finishing split between Toulouse and Hamburg. Airbus had already cut staffing as A380 orders dried up, and the future of employment at the company very much now depends on the success of its new generation of aircraft. Unite, the largest union representing aerospace workers in the UK and Ireland, said it was "bitterly disappointed" by the news, adding it would seek "urgent assurances" from Airbus that there would be no job losses because of the decision. "We are of the firm belief that with a full order book in single aisle planes, such as the A320, that our members affected can be redeployed on to other work in Airbus," said Rhys McCarthy, Unite's national officer for aerospace. The spacious jet, which had its first commercial flight in 2007 with Singapore Airlines, was popular with passengers but it was complicated and expensive to build, in part thanks to the way production was spread across various locations. But ultimately demand for the A380 from airlines dried up as the industry shifted away from larger planes in favour of smaller, wide-body jets. When Airbus was conceiving the A380, Boeing was also considering plans for a superjumbo. 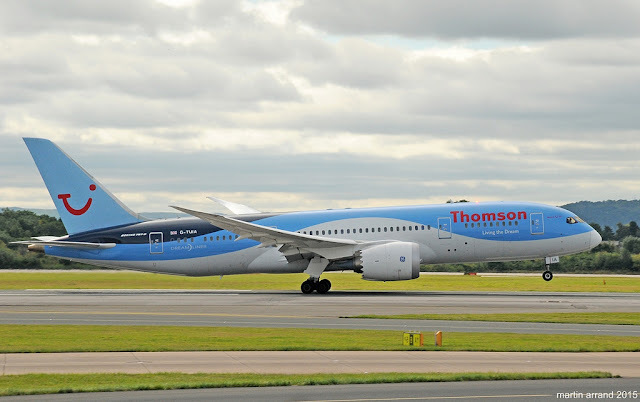 But the US company decided to scrap the idea in favour of its smaller, efficient - and more successful - 787 Dreamliner. "The very clear trend in the market is to operate long-haul aircraft with two engines [such as] Boeing's 787 and 777, and Airbus's A330 and A350," said Greg Waldron, Asia managing editor of Flight Global. Airbus had been working on a revamped A380 to make it more efficient, but needed sufficient launch orders to make the huge investment viable. Despite Airbus' website describing the Airbus as the "future of long-distance travel" the last aircraft will be delivered in 2021. We can now reveal, our new 100 seat Enviro400XLB buses will start operating on our Services 11 and 16 early next month (March). 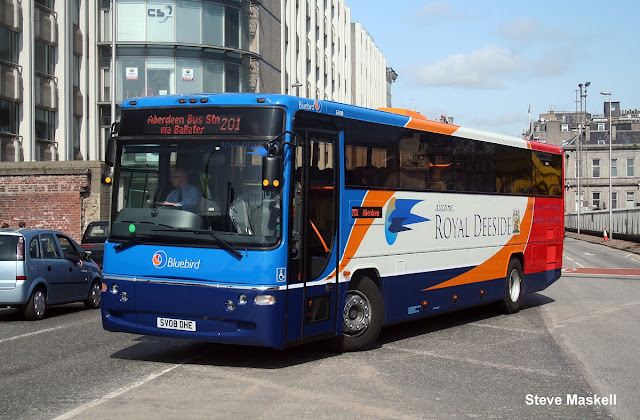 Our Service 11 operating from Ocean Terminal to Hyvots Bank and Service 16 connecting Silverknowes and Colinton. Together, these popular cross city routes carried over 10 milllion customers last year. These buses can carry up to 129 customers each. They have been designed with a front and middle door to speed up the times spent at bus stops and have been built to even higher standards than bus users in Edinburgh have become accustomed to, with comfortable high-backed seating, Wi-Fi, USB charging, mood lighting and audio-visual stop announcements. 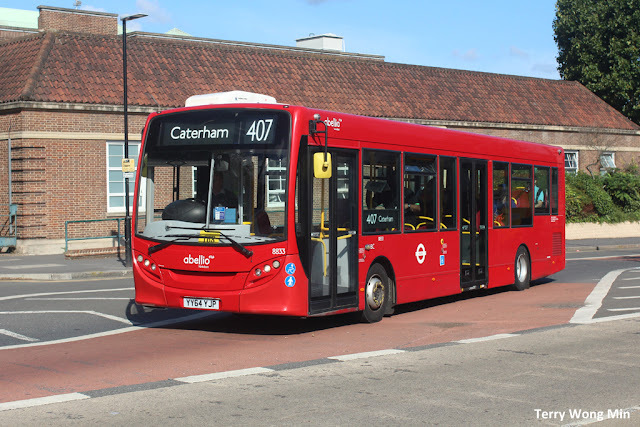 Richard Hall, Managing Director, said: "The city is changing and public transport operations must evolve to meet the growing needs and expectations of our customers. Core cross city routes are an important piece of our network, transporting millions of customers quickly and efficiently to their destinations every week. Services 11 and 16 are high frequency core route services, together carrying over 10 million customers across the city with high demand in the morning and afternoon peaks, as well as at weekends. By deploying these new vehicles onto these services to cope with customer demand patterns, we will be able to change how we deliver these services for the benefit of our customers and the areas in which we operate. 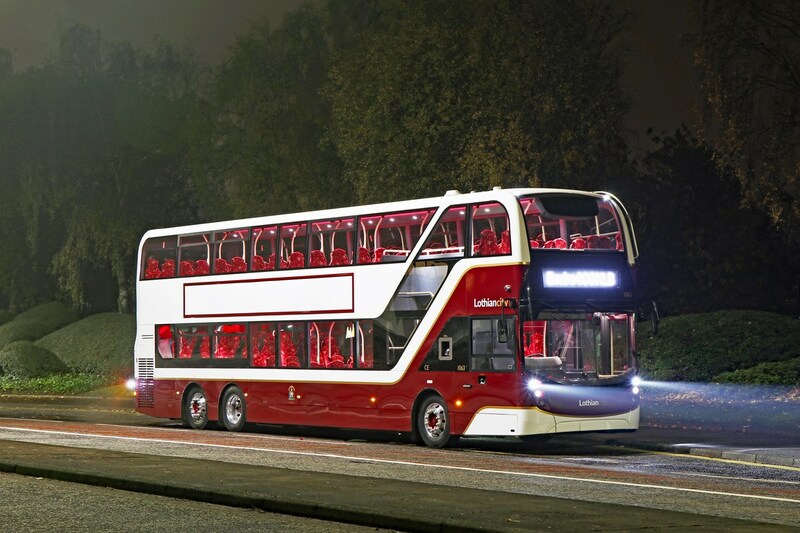 We look forward to seeing these vehicles out and about on the streets of Edinburgh providing the next generation of public transport." To ensure the smooth introduction of these vehicles to the streets of Edinburgh, we have an in-house project team carrying out route assessments and familiarisation training. Look out for them travelling around over the next few weeks. 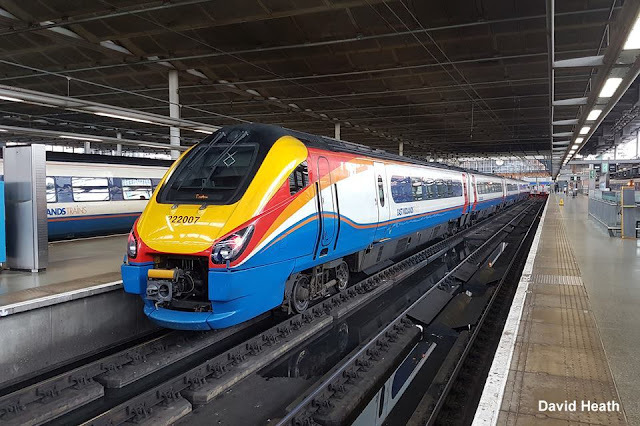 Stagecoach Group plc has confirmed that its subsidiary, East Midlands Trains Limited, has agreed a new short-term rail franchise with the Department for Transport ("DfT"). The new franchise will commence on 3 March 2019 and run until at least 18 August 2019. The DfT has the discretion to extend the franchise by up to 24 weeks on terms that have been agreed. • Supporting the delivery of the £1.5bn Midland Main Line upgrade to improve capacity and reduce journey times. 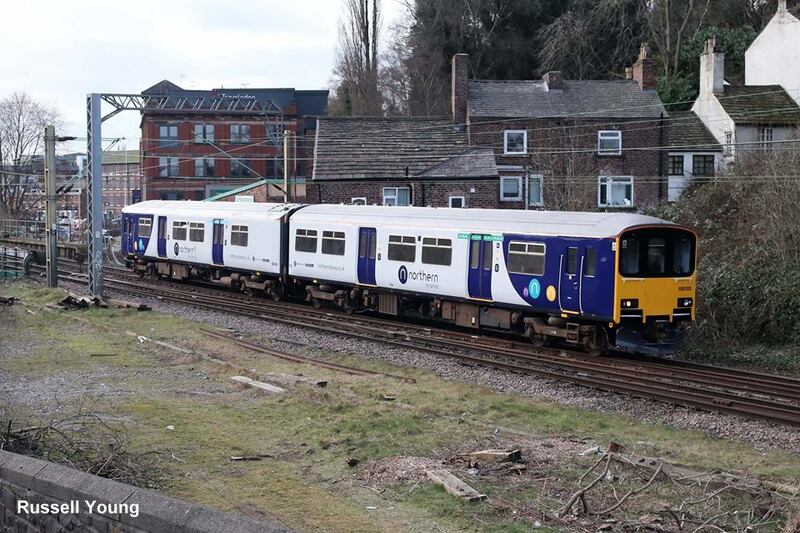 In addition, East Midlands Trains will be focused on ensuring readiness for the new franchise, including helping to put in place plans for extra seats from 2020. Under the terms of the new contract, revenue risk will sit primarily with the DfT. East Midlands Trains expects to earn a modest profit under the contract and a profit sharing arrangement with the DfT will apply. 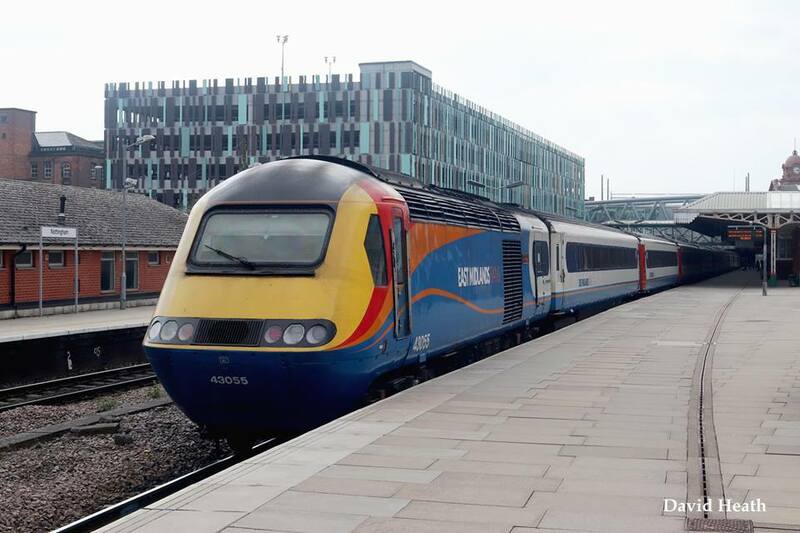 East Midlands Trains remains the UK's most punctual long distance railway, a position it has held for the last ten years. Last year saw East Midlands Trains work with Network Rail to successfully deliver a £200m re-signalling and upgrade project at Derby. Over the last 11 years, customers have benefited from millions of pounds of investment to improve services, whilst taxpayers have benefited from substantial premium payments to Government. Bus services across the north-east will be scrapped in an effort to help Aberdeenshire Council save money. 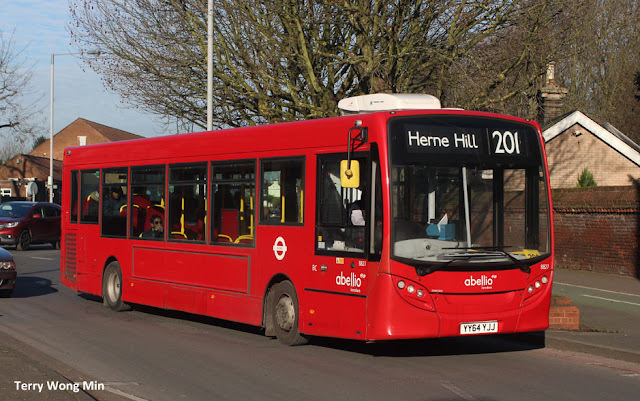 The authority has identified 27 routes that will now be withdrawn – to the dismay of many community groups and leaders. Alterations will affect Fraserburgh in the north to Laurencekirk in the south and will be felt as far afield as Braemar. There are even fears the cuts will prevent people from enjoying the Deeside village’s increasingly vibrant visitor offering. The council has cited “budget pressures” as the driving factor behind its decision to slash services that have been assessed as under-utilised. Money available for council-supported bus services is expected to be reduced by around £560,000 when the authority sets its budget later this month. To stay within budget for 2019/20, the council’s transportation service is reducing those bus routes it deems provide the least value for money. Another community affected is Peterhead, which will lose services to Fraserburgh, Mintlaw and Boddam. The changes will come into force from the 15th of April. Service 26 Luthermuir/ Laurencekirk – Stonehaven – Saturday services cut. There are no alternatives between Laurencekirk and Stonehaven by bus, but there are rail links. Service 66/66a Stuartfield – Peterhead – 2245 bus from Mintlaw to Peterhead and 2320 from Peterhead to Stuartfield, both on Saturdays, are both cut. The last bus from Peterhead now leaves at 2220 and stops in Mintlaw. Service 68 Mintlaw – Fraserburgh – 0721 bus cut. There are no alternative services. 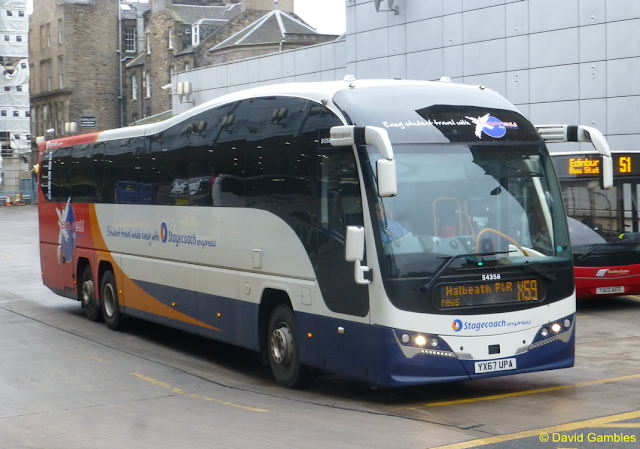 Service 67/68 Aberdeen – Fraserburgh – 1910 and 2010 services from Fraserburgh to Aberdeen between Monday and Friday replaced by one departure at 1940. 2105 and 2205 from Aberdeen to Fraserburgh during the week replaced by one at 2135. Service 69 St Combs – Fraserburgh – Monday to Friday services after 1830 withdrawn, with no alternatives. Service 69B Peterhead – St Fergus – Fraserburgh – 0645 Saturday service between Fraserburgh and Peterhead withdrawn, with no alternatives. Service 74 Rosehearty – Fraserburgh – Services after 1900 on weekdays withdrawn. Service 76/77 Fraserburgh Town Service – 1805, 1835 and 2115 Saturday services from Broad Street withdrawn. Service 81 Peterhead – Boddam – 0518 from Peterhead to Boddam and 0530 Boddam to Peterhead withdrawn. Service 82A Peterhead – Meethill – Boddam – 0730 Saturday service from Peterhead to Boddam and 0747 from Boddam to Peterhead on the same day withdrawn. Service 84 Peterhead Town Service – 1853 Monday to Friday and 1850 on Saturday, both from Chapel Street withdrawn. Service 201 Aberdeen – Aboyne – 2115 Sunday service between Aberdeen and Aboyne will terminate in Banchory. Nearest alternative to Aboyne leaves Aberdeen at 2245. Service 201 Aboyne – Torphins – 2117 Friday service between Aboyne and Torphins withdrawn. Nearest alternative departs at 2028. Service 201 Aberdeen – Braemar – 0745 Sunday service between Aberdeen and Braemar withdrawn; 0945, 1345 and 1815 Sunday service from Aberdeen to Braemar will terminate in Ballater; 2245 Sunday route between Aberdeen and Ballater to terminate in Banchory; 1025, 1225, 1825 and 2035 between Braemar and Aberdeen on Sunday will commence from Ballater. Service 204 Strachan – Banchory – Aberdeen – 0715 from Strachan to Aberdeen between Monday and Friday withdrawn. Service 218 Alford – Westhill/ Aberdeen – 1812 Alford to Elrick and 1906 Elrick to Alford, both Monday to Friday, withdrawn. Service 231 Alford – Huntly – Monday to Friday service, comprising 4 return journeys, withdrawn; Schoolday return journey departing Alford at 0750 hrs and returning from Huntly at 1552 hrs is unaffected. Reduced inter-peak service to be provided by an A2B dial-a-bus service. 1355 hrs from Alford to Huntly (Saturday) and 1452 hrs from Huntly to Alford (Saturday) withdrawn. There is still a return journey on Saturdays, departing Alford at 0955 hrs and returning from Huntly at 1152 hrs. Service 253 Turriff – Mintlaw – Fraserburgh – 903 hrs from Turriff to Fraserburgh (Tue & Fri) and 1320 hrs from Fraserburgh to Turriff (Tue & Fri) withdrawn; Alternative services available, for all intermediate settlements affected, to their nearest market towns. Service 272 Banff to Fraserburgh – 0720 hrs from Fraserburgh to Banff (Mon – Fri) and 1705 hrs from Banff to Fraserburgh (Monday to Friday) withdrawn; No alternatives. Service 273 Banff – Gardenstown/ Fraserburgh – Saturday service, comprising 4 return journeys, withdrawn; No alternatives. Service 292 Tarves – Ellon – 0812 hrs from Tarves to Ellon (Mon – Fri) and 1708 hrs from Ellon to Tarves (Mon to Fri) withdrawn; No alternatives. Service 301 Macduff – Aberchirder – Huntly – Saturday service, comprising 2 return journeys, withdrawn; Aberchirder has an alternative Saturday service to/from Turriff and Inverurie (Service 308). Service 308 Aberchirder/ Turriff/ Rothienorman – Inverurie – 1114 hrs from Aberchirder to Inverurie (Mon – Fri), 1310 hrs from Turriff to Inverurie (Mon – Fri), 1011 hrs from Inverurie to Aberchirder (Mon – Fri) and 1357 hrs from Inverurie to Rothienorman (Mon – Fri) withdrawn. Remainder of Monday to Friday service plus Saturday service unaffected. Service 402 Kingseat – Hatton of Fintry – Inverurie – 0915 hrs from Kingseat to Inverurie (Thursday) and 1215 hrs from Inverurie to Kingseat (Thursday) withdrawn; The Tuesday return journey from Kingseat and Inverurie via Newmachar and Kinmuck is unaffected; A weekly A2B dial-a-bus service has recently been introduced between Hatton of Fintray and Inverurie. 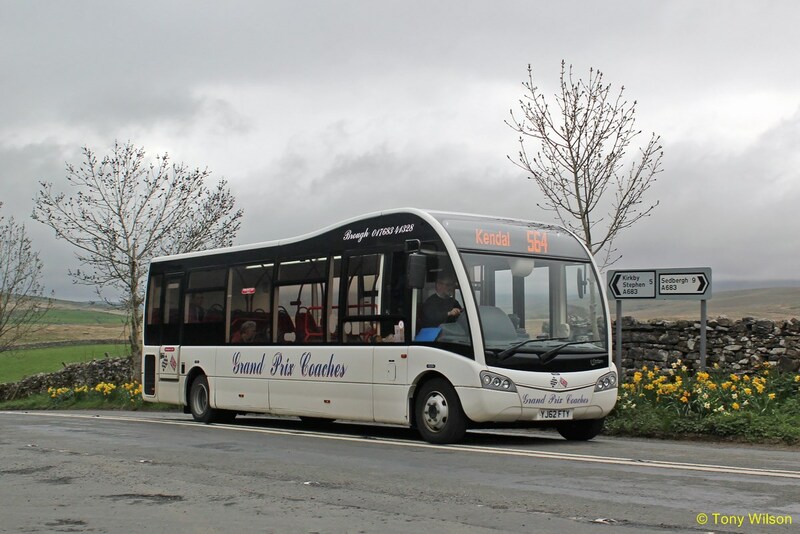 Service 417 Lumsden – Insch – 0915 hrs from Kingseat to Inverurie (Thursday) and 1215 hrs from Inverurie to Kingseat (Thursday) withdrawn; The Tuesday return journey from Kingseat and Inverurie via Newmachar and Kinmuck is unaffected; A weekly A2B dial-a-bus service has recently been introduced between Hatton of Fintray and Inverurie. Service 421 Alford/ Kemnay – Inverurie – 1820 hrs from Alford to Inverurie (Mon – Fri), 1905 hrs from Inverurie to Alford (Mon – Fri), 1845 hrs from Alford to Inverurie (Saturday), 2127 hrs from Inverurie to Kemnay (Saturday), and Sunday service, comprising 3 return journeys, withdrawn; Alternative evening and Sunday services to/from Aberdeen only. Service 777 Oldmeldrum – Westhill – Dyce – 0640 hrs from Oldmeldrum to Dyce (Mon – Fri) and 1640 hrs from Dyce to Oldmeldrum (Mon – Fri) withdrawn; Alternatives available for the vast majority of passenger journeys currently being undertaken, albeit requiring interchange in some cases. 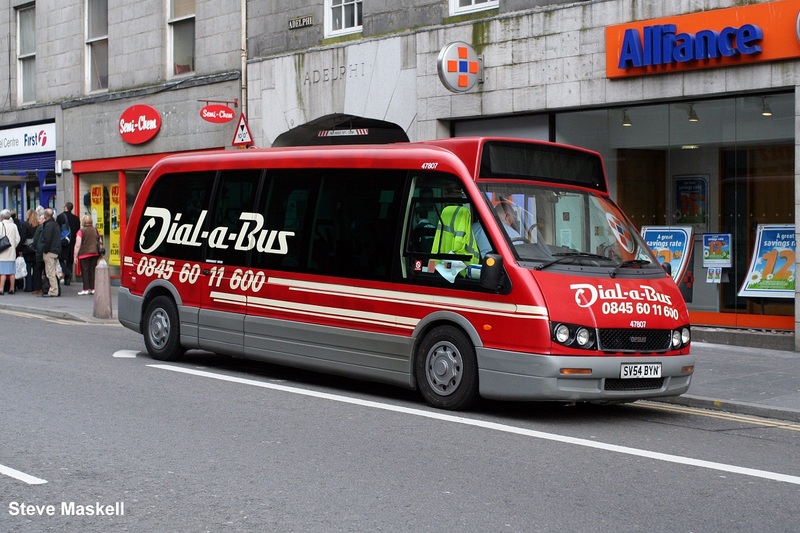 A2B Dial-A-Bus Insch – Monday to Thursday inter-peak flexible service withdrawn. Insch has alternative Services 41 and 416 to/from Inverurie, 41A to/from Huntly, and 10C to/from Aberdeen. Friday A2B service is continuing. Thousands of bus routes in England are under threat because councils have said they cannot afford to pay for them. They blamed an "unsustainable" funding gap of £652m in the free bus pass scheme, which local authorities have been forced to fill. Councils subsidise 44% of English bus routes but they warned that, without more funding, these could be cut. The government said it provides £250m a year to support bus routes and £1bn for free bus passes. 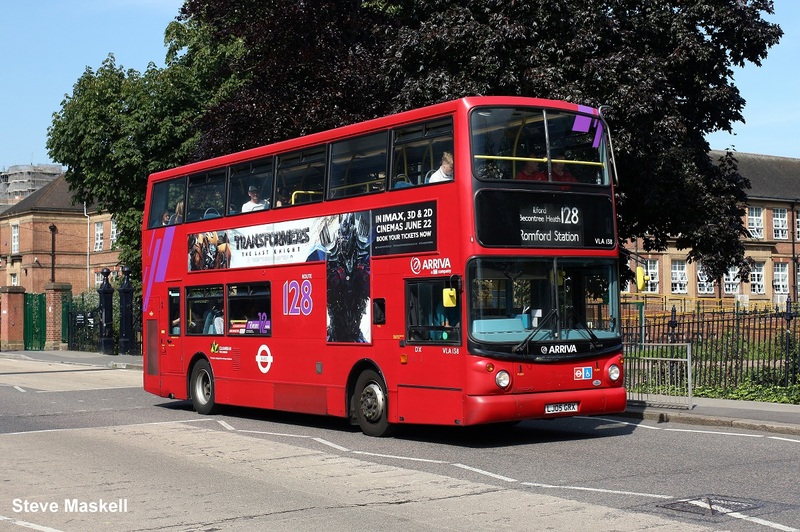 Councils are required by law to reimburse bus operators for carrying passengers who hold a free off-peak bus pass, such as the over-65s and disabled people. The Local Government Association (LGA), which represents councils, said that the gap between government funding for the free bus pass scheme and the actual costs has soared from £200m in 2016 to £652m in 2017/18. 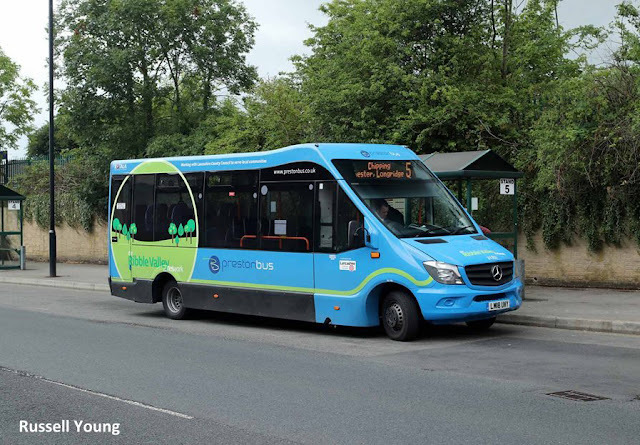 That increasingly means they have less money to spend on supporting rural bus services, as well as other optional forms of subsidy such as free peak-time travel for pass holders, post-16 school transport or support for young people's travel. The LGA is calling for the government to return to fully funding the costs of the free bus pass scheme in the Spending Review this year. 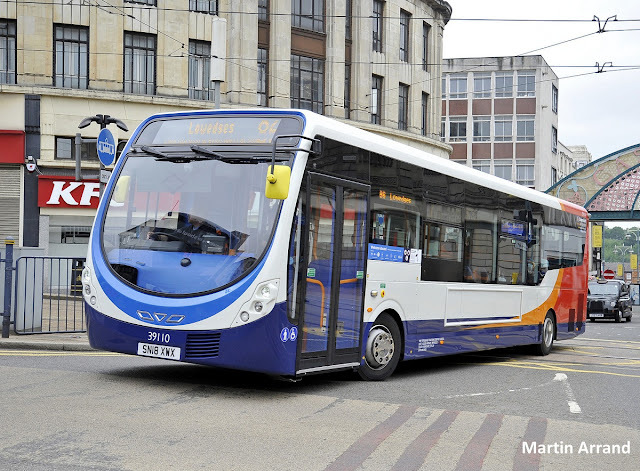 Councillor Martin Tett, the LGA's transport spokesman, said: "Properly funding the national free bus pass scheme is essential if the government wants councils to be able to maintain our essential bus services, reduce congestion and protect vital routes. If this is not addressed in the Spending Review it could lead to older people having a free bus pass but no bus to travel on." 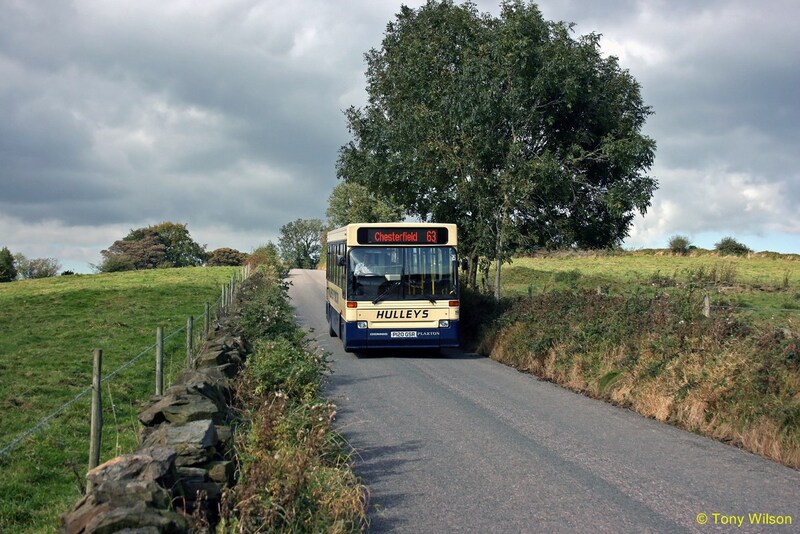 The LGA said more than 3,000 routes have already been withdrawn, altered or reduced since 2010/11. 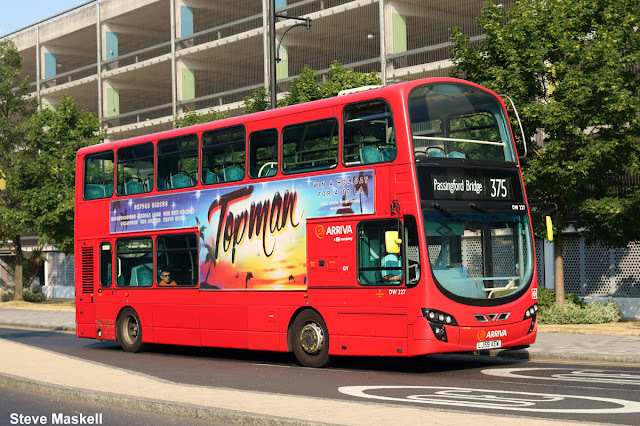 A Department for Transport spokeswoman said: "It is for councils to decide which bus operations to support in their areas, but we help to subsidise costs through around £250m worth of investment every year." She said that £42m of this sum goes to local authorities and an additional £1bn is used to fund free bus passes.